"Very professional and detail oriented." "I would recommend this doctor highly for anyone with hand and wrist issues." 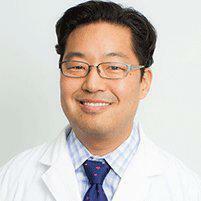 Dr. Ahn was born and raised in New York City. He attended Brown University for college and medical school, and returned to New York for an orthopedic surgery residency at the Hospital for Joint Diseases/ NYU combined program. He graduated in 2003, and did an additional year of fellowship training in hand and upper extremity surgery at the Tufts / New England Baptist Hospital combined program. He worked at Cedars Sinai Hospital where he was involved in teaching USC plastic surgery residents hand surgery before moving down to the South Bay. He currently continues to teach, and serves as the Chief of the Hand Surgery Service in the Department of Orthopedics at Harbor UCLA. He is board certified in Orthopedic Surgery and Hand Surgery. In his spare time he loves to surf, snowboard, and play tennis. Author - "Rotator cuff repair in patients with type I diabetes mellitus"
Author - "Thermal energy in arthroscopic surgery of the wrist"
Dr. Anthony Ahn sees patients that are referred by Torrance Hospital IPA. Please call 310-257-1500 to make an appointment. We accept all PPO insurance plans. If you have any questions, please contact our office. "I had an appointment wDr. Ahn the next day. In and out quick! Great vibe in the office. Front Desk was very helpful. Highly recommend."